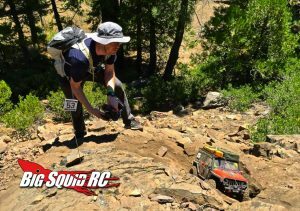 Big Squid Podcast – Episode 11 – Knight Customs Part 2 « Big Squid RC – RC Car and Truck News, Reviews, Videos, and More! Hello to all of our podcast fans! Welcome to another Big Squid RC 2019 podcast! We recently had James Knight from Knight Customs on, and it was a great episode, and I think we all learned a ton about the 3d side of the custom market, so it seemed like something we should revisit. Knight Customs really has some incredible parts to customize your rc vehicles with the use of 3D printed parts. It’s amazing how much stuff they have, from light racks to sweet looking interiors, there is a little something for everyone over there. Sit back, relax and enjoy another podcast James from Knight Customs. Thanks again to James Knight of Knight Customs for his time and support. Make sure to visit his official page, and check out all the cool custom stuff they have! Hopefully we can bring you some product spotlights in the near future.